A fascinating story of how a young boy was around a skating rink because his father was working there and then learning how to play hockey and took that into a profession. Of course not that easy. 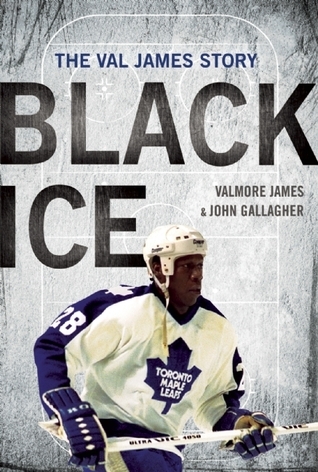 Val James was born in Florida and then his family moved to Long Island, it was there that his father got a job working at a rink and also worked out for his son to learn how to skate. From there he started playing on a local team at the rink and as he grew he grew with the team and he was able to practise more because of being able to use the rink. On the team and every team he was on he was the only African American so you can imagine the things that were said to him not just by the opposing team but also by people in the stands. He would leave home and go to Canada to play junior hockey where he was the only African American in the town. The town accepted him along with the team and the longer he played he began to be known as an enforcer. This was back in the time when fighting happened all the time he would go on to fight some of the biggest enforcers of the day and it was said to be a show seeing the two of them going at it. He did get drafted and played a few games in the NHL it was at this time when they said in an announcement that he was first American born African American to play in the NHL. An injury to his shoulder cut his career short but he said he was grateful for the time he had, and being able to find the women he married. A good book about old time hockey and the way they used to play the game and him thanking the people that made it possible for him especially his father. A wonderful book. I got this book from netgalley. I give this 4 stars.